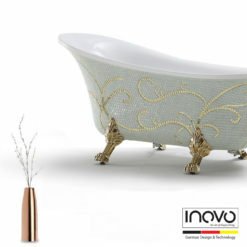 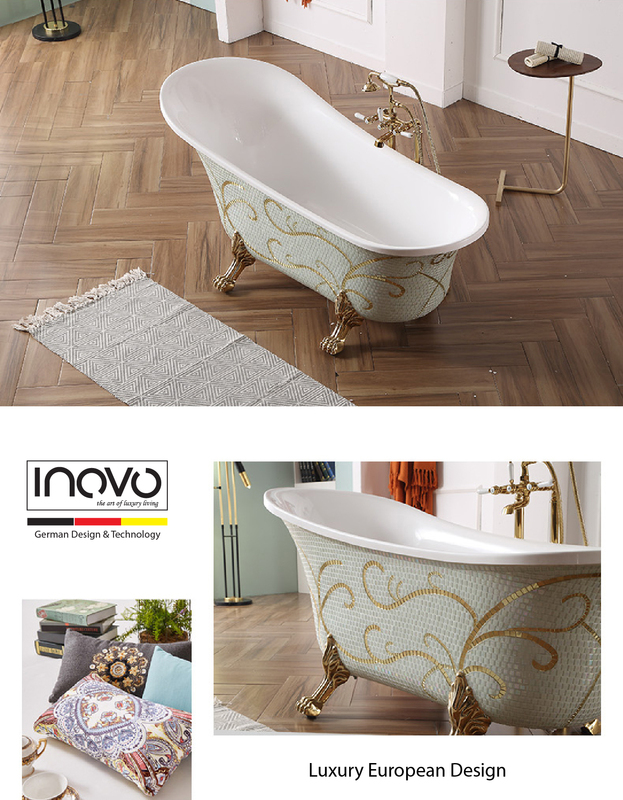 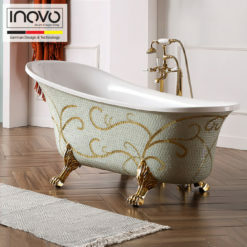 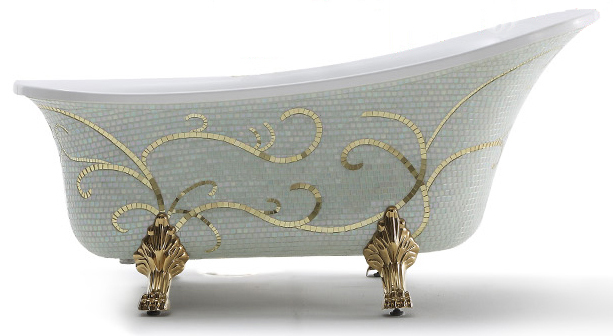 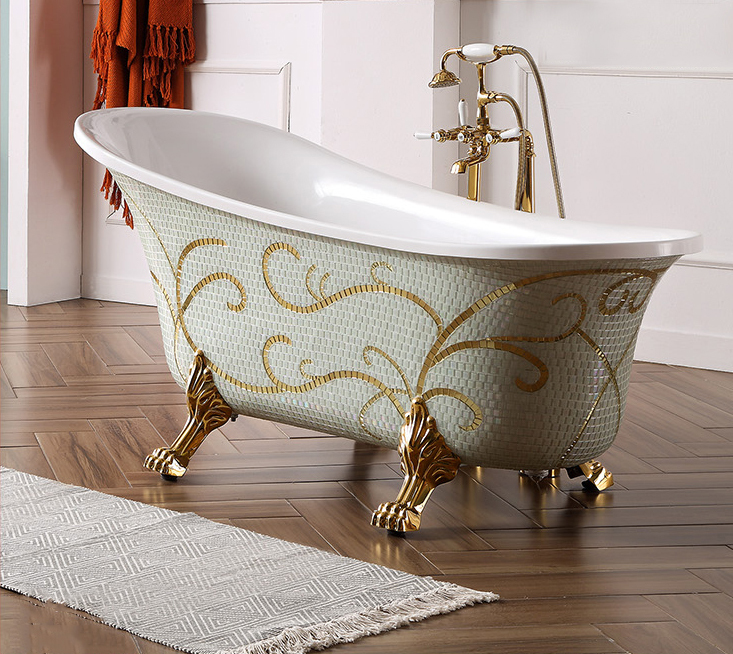 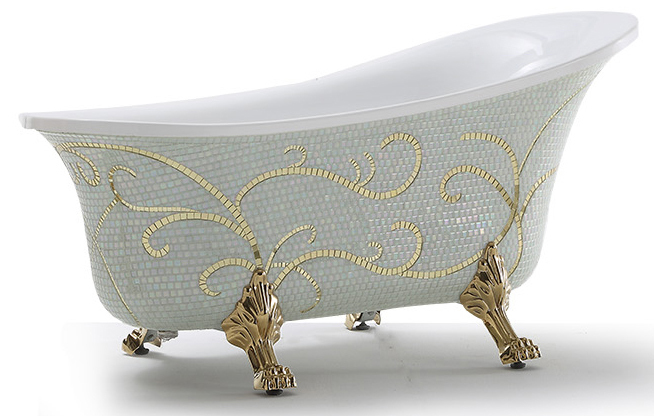 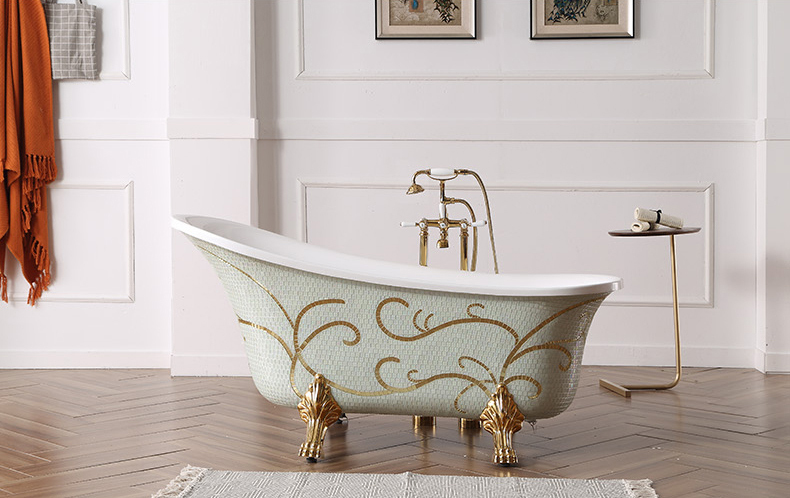 The Grand Capella freestanding bathtub Classic Clawfoot design with luxury gold mosaic handcrafted makes it a natural focal point of your contemporary bath with fluid lines and stylish design. 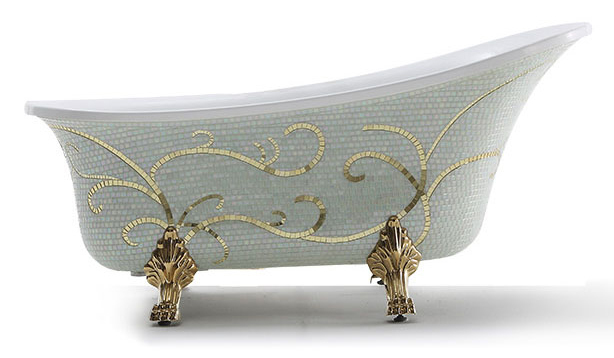 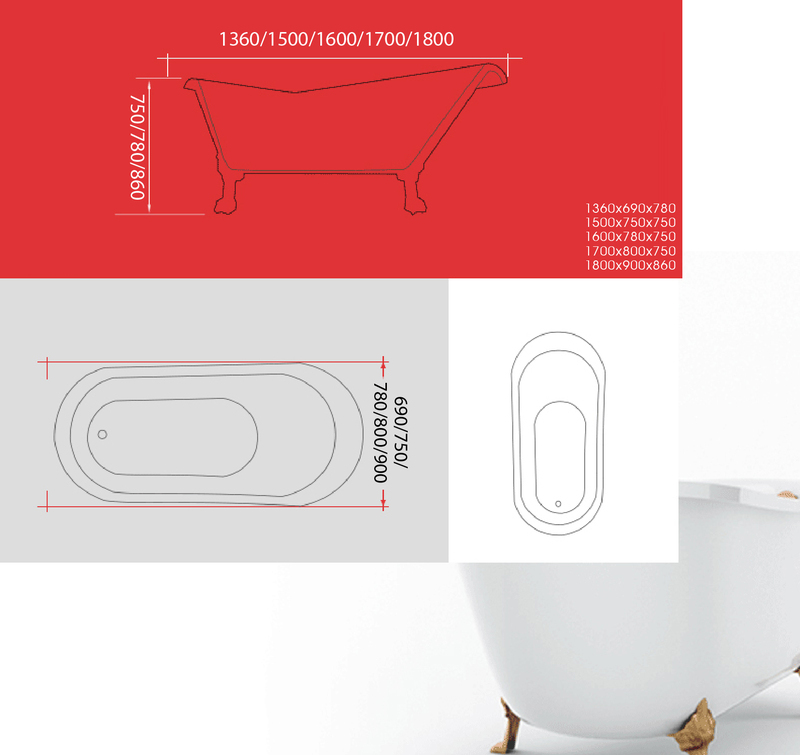 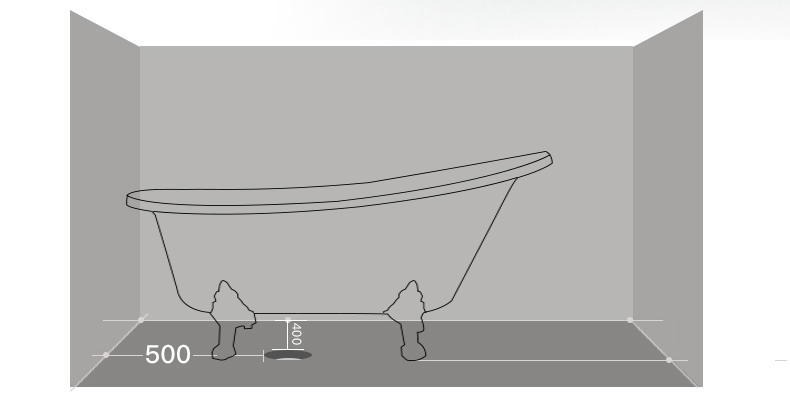 The Grand Capella freestanding bath is the most ultimate luxury bathtub you can find in the world. 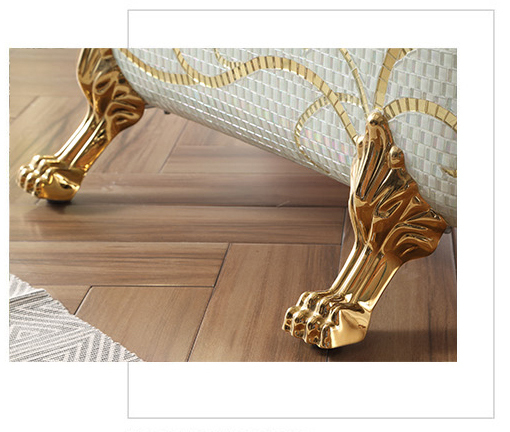 More then 100 hours spent handcrafted by our designers on each Grand Capella. 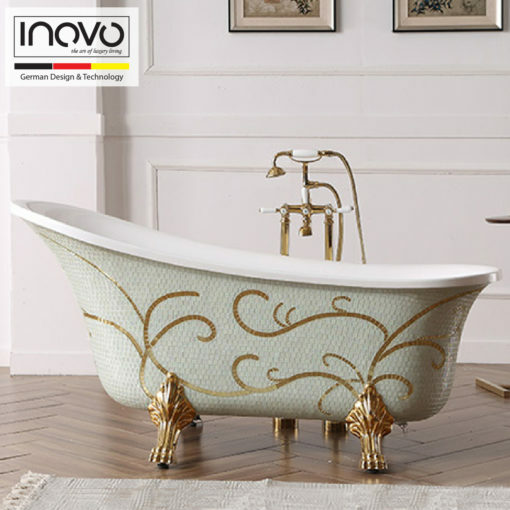 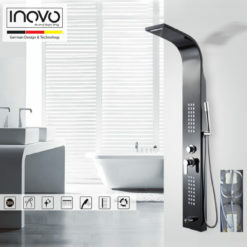 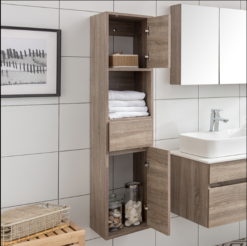 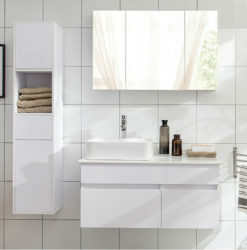 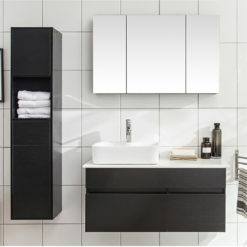 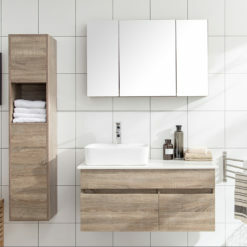 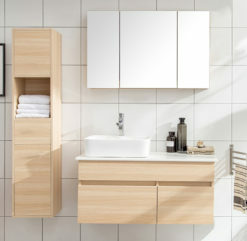 It is a piece of timeless art in your bathroom to add a touch of royalty feel. 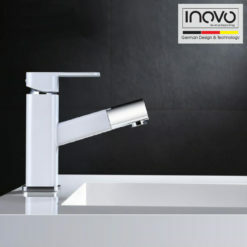 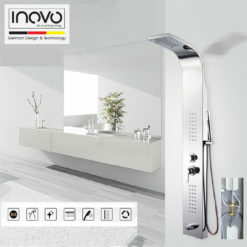 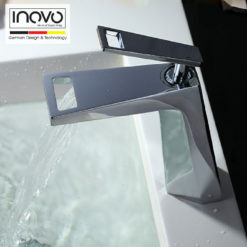 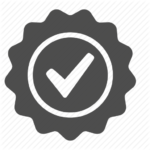 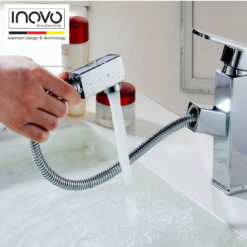 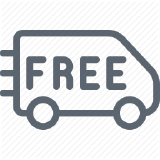 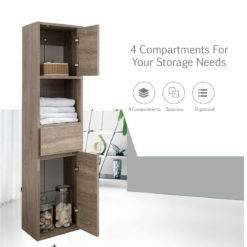 Faucet can be purchase separately. 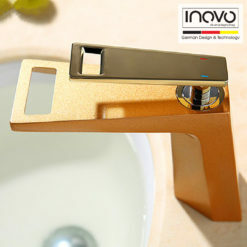 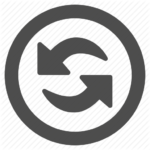 • Decorative cover: As shown in picture, not turn dial.